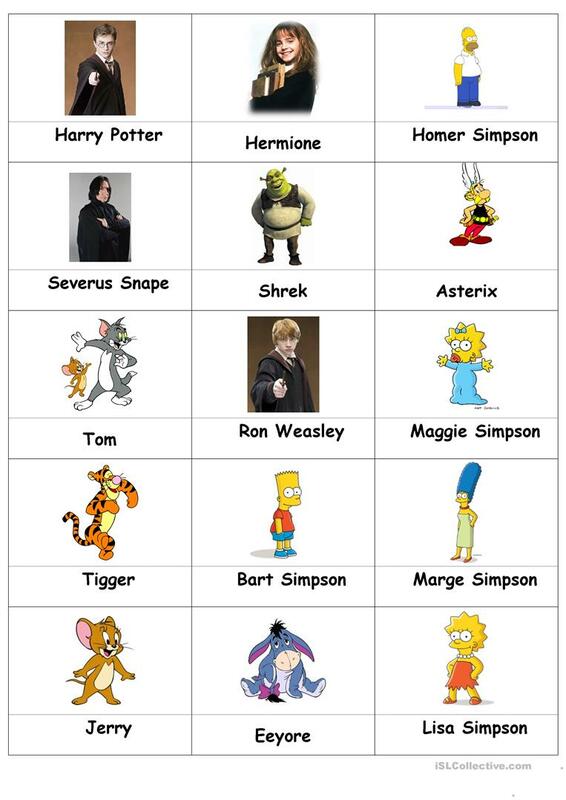 cards with some famous characters, I use them for practicing descriptions or just simple to be/to have sentences. Can be modified for writing prompts, conversation etc. The above printable, downloadable handout is meant for high school students, elementary school students and kindergartners and nursery school students at Beginner (pre-A1) and Elementary (A1) level. 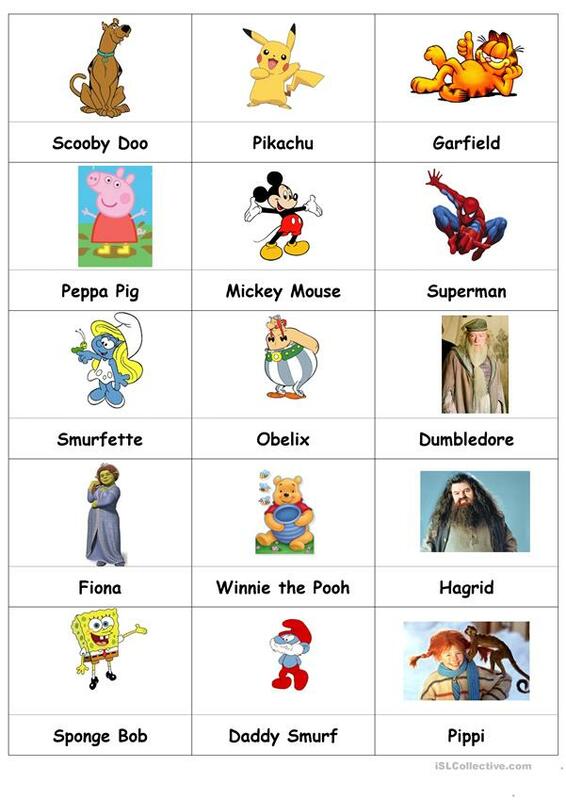 It is a valuable material for improving your groups' Speaking skills.